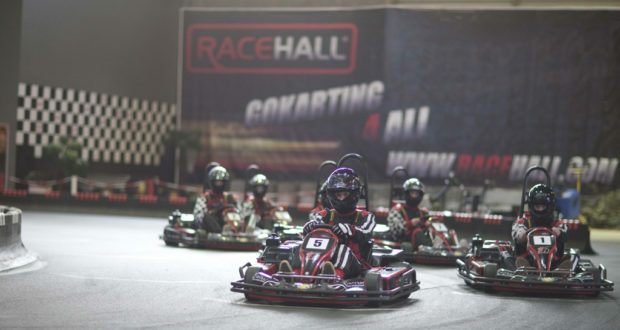 The world’s biggest indoor go-kart racing track will open in late 2019 in the municipality of Høje Taastrup, just west of the Danish capital towards Roskilde. Due to open in time for Christmas next year, the new Racehall will be 10,050 square metres. But the new track will beat Racehall’s own record, being 33% larger than its existing track in Aarhus, which is currently the biggest in northern Europe. The new attraction will have space for 36 go-karts racing at any one time, in a giant hall without columns. To be located at the intersection of Roskildevej and Bondehøjvej, it will also have a restaurant with a balcony that overlooks the driving thrills going on below. “We’ve chosen Høje Taastrup as a central location – near Copenhagen with good traffic access and close to motorways and public transport,” said Flemming Thomsen, according to Copenhagen news site Migogkbh.dk. F1 grand prix in Hanoi – a good thing?